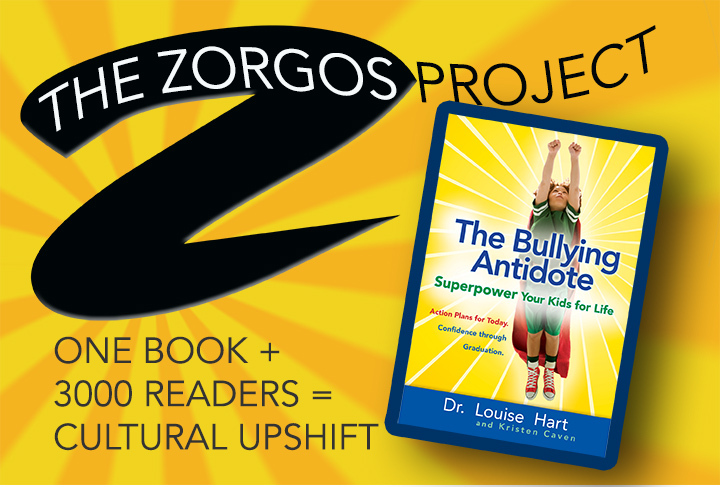 The Zorgos Reader is the online companion to The Bullying Antidote by Dr. Louise Hart and Kristen Caven. Unlike other books by bullying experts, this book takes a wide view of the bullying dynamic and draws from the best information available by dozens of bullying experts, parents, schools, and outside-the-box thinkers. The idea behind the book is that bullying does NOT need to be seen as a normal part of childhood, and that parents have enormous influence to prevent it from happening in their families and communities. 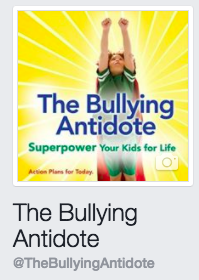 In addition to practical advice on how to handle bullying events, The Bullying Antidote gives a deep understanding of all of the ins and outs of the bullying dynamic, from historical perspectives to brain activity, and how to build a different way of being in the family. A DISCUSSION GUIDE for readers who wish to explore their own issues and ideas about what is in the book. The discussion guide can be used in parenting workshops or book clubs, or readers can comment and discuss on each page.